Using a sanding system—pairing a hand or power sander with a vacuum—can save a significant amount of time on cleanup. That creates a safer work environment, improves client satisfaction, and puts money in your pocket. 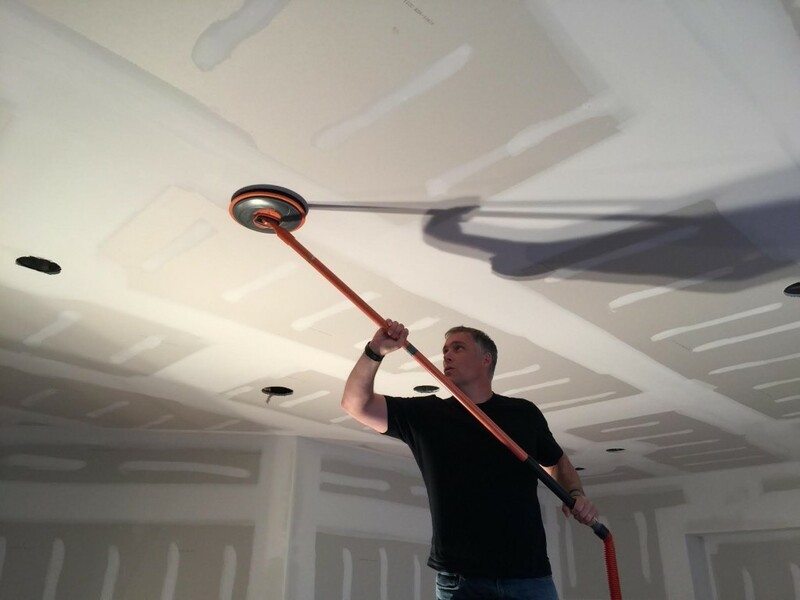 As a professional painting contractor, you probably put a lot of thought into the type of sander and abrasive you use for a given job, but it’s equally important to focus on the dust-extraction part of the equation. Dust-free level claims range from 95% to 99.9%, depending on specific tools. The level you require is application-specific, of course, but working with lead paint or in a health care facility warrants going toward the higher end. Unless otherwise indicated on the label, off-the-shelf vacuums may have a cheaper stock filter installed. Each manufacturer recommends the right vacuum for a given sanding tool, so that’s a vital spec to consider. In addition to the vacuum power setting at the unit itself, most sanding systems come with an adjustment valve on the hose to let more or less air into the system. That’s essential because too much suction will slow you down, hinder the airflow and dust extraction, and wear out the abrasive—not to mention the potential for unwanted patterning or flashing of the surface. With plenty of adapters to fit a wide variety of hoses, there’s almost no excuse to have to jury-rig hoses together with duct tape at the job site—it’s a minor investment for more professional results. It can take some experimentation to dial in a happy medium of smooth sanding and dust-free extraction, and it may require an upgrade in your current set of tools. But in the end, the time you save and the results you get are likely to boost your bottom line.